Spend a few minutes browsing on the Internet, and you will likely be inundated with requests to sign up for services or to install software and toolbars in your browser to "enhance" your surfing. Unfortunately, a lot of these services and toolbars have no real purpose other than to deliver advertisements for their associated sites. In fact, many toolbars can be malicious, degrading your online browsing and compromising your computer. If you find yourself with unwanted or malicious toolbars in Internet Explorer, hope is not lost. It’s now easier than ever to get rid of these common exploits and take back control of your computer. Here’s how to do it. 1. Click Tools, Manage add-ons. 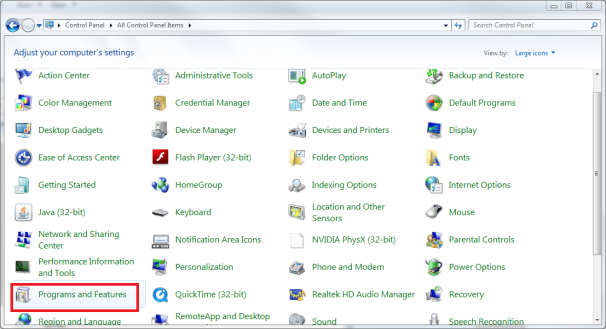 Windows Vista/7 users may need to tap the Alt key in order for the menu to appear. 2. In the Manage Add-ons window that appears, highlight Toolbars and Extensions under 'Add-on Types'. 3. 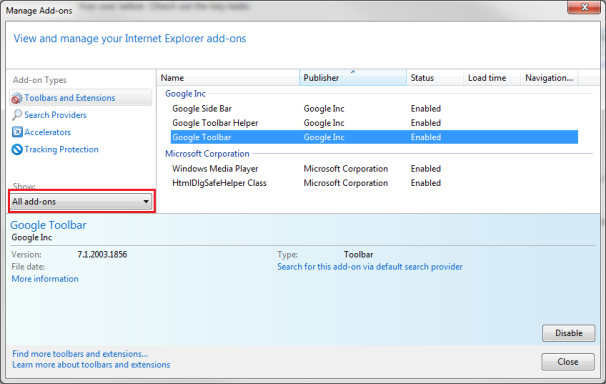 Under the 'Show:' drop-down menu, make sure All add-ons is selected. 4. 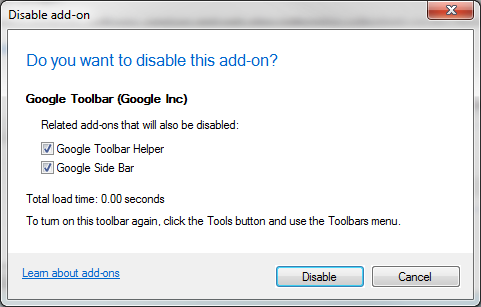 Highlight the toolbar you wish to remove, and select Disable. 5. A window may pop up to warn you that related services and add-ons will also be disabled. If such a window does appear, leave those items checked and click OK.
6. 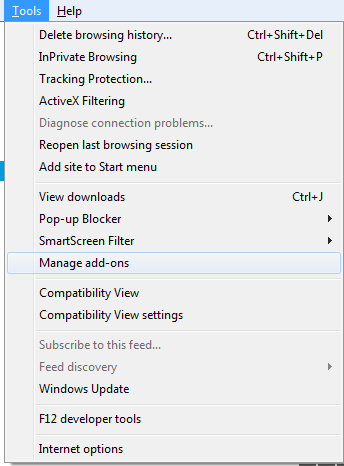 Click Close to dismiss the add-ons window. 1. Click Start, Control Panel to bring up the Windows Control Panel. 3. 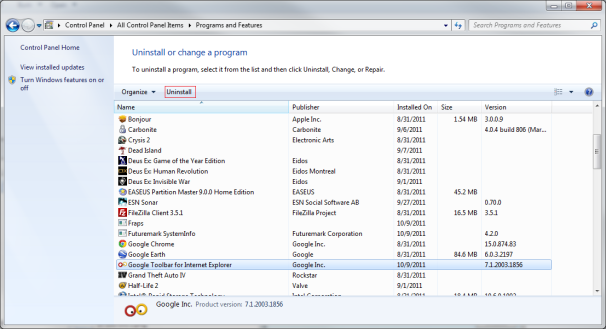 In the uninstall window, look for the toolbar you want to remove; if it’s available, highlight the toolbar and click Uninstall. 4. Follow the on-screen instructions to completely remove the toolbar from your computer.